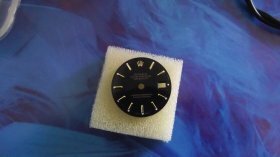 We can supply and fit if required diamond and Mother of Pearl dials for Rolex watches as well as offering a refinishing service for tired or damaged dials. We offer a vast selection. 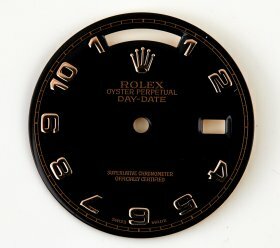 Please enquire if the dial you need is not listed! 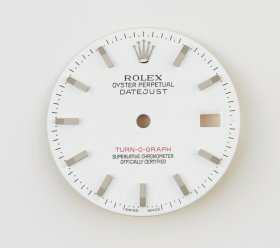 Datejust dials , Lady Datejust , Day-Date dials , Oyster-Date dials . 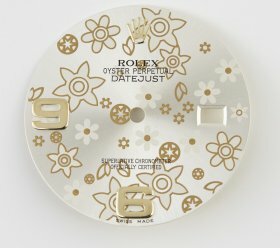 Various markers and colour selections always available. 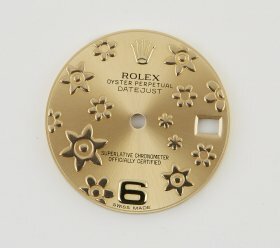 Rolex Day-Date dial in MOP+ Dia makers! 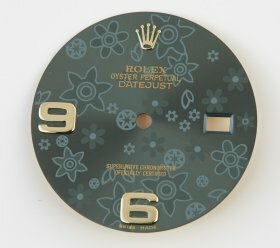 Rolex Ladies Datejust dial, Arabic .